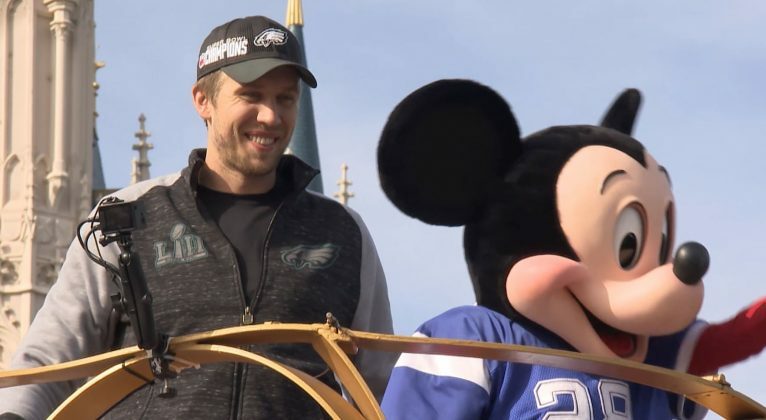 It was a short, but memorable parade. He also stuck around for a brief interview. And then, like the international man of mystery that he is, NFL Superbowl XLVIII MVP Malcolm Smith, returned to the jet setter life of parties and TV interviews that is his destiny… at least until practice starts for next season with the Seattle Seahawks. Did you watch the game? It turned into a real nailbiter. But in the end one of the Haubaugh brother’s teams was destined to win. This time it was the Baltimore Ravens Fresh with a 34-31 victory over the San Francisco 49ers in Super Bowl XLVII. 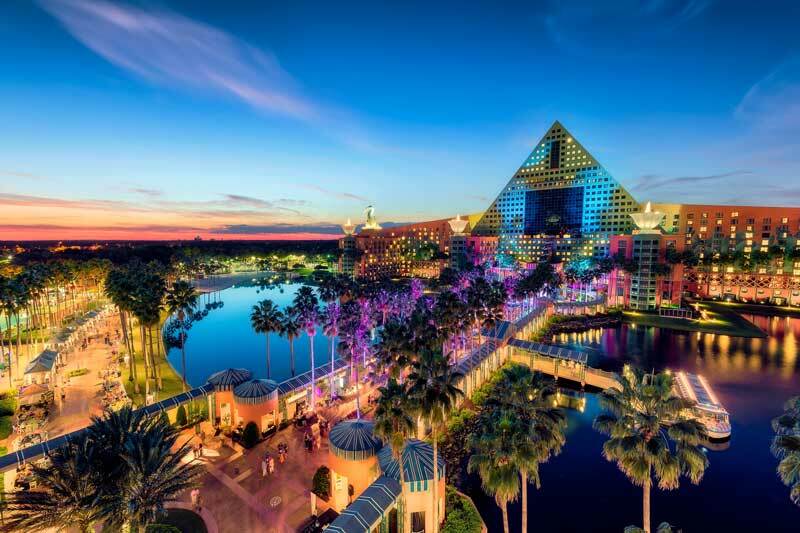 Super Boel MVP quarterback Joe Flacco made good on his “I’m Going to Disney World” proclamation by quarterbacking a gala celebration Monday at Walt Disney World. 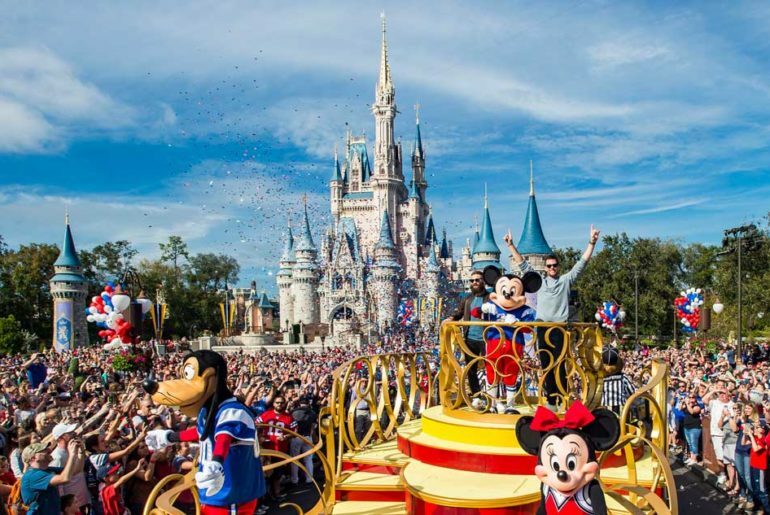 Smiling and waving from a red convertible alongside Mickey Mouse in the shadow of Cinderella Castle, Flacco – named the game’s Most Valuable Player — greeted cheering Magic Kingdom guests along a parade route lined with colorful red, white and blue balloons. 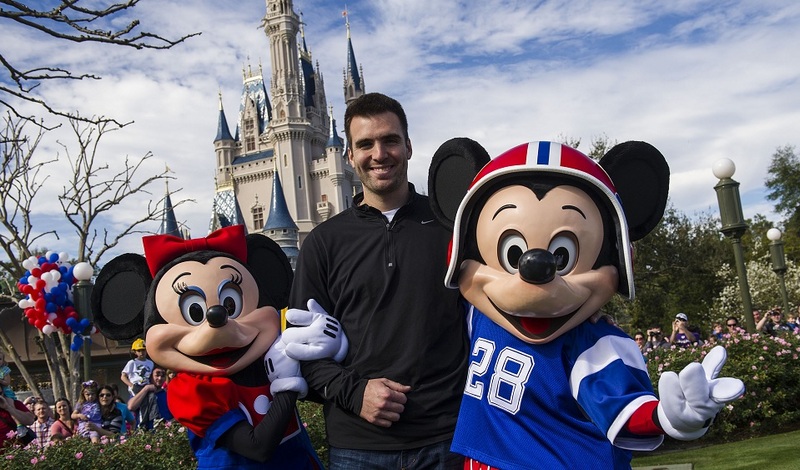 Cheerleaders, Disney characters in football gear and a Florida blizzard – of confetti — completed the festive scene as Flacco quarterbacked another drive, this time down Main Street, U.S.A.
Flacco was one of the game’s standout players, firing three first-half touchdown strikes en route to 287 total passing yards. It capped a remarkable post-season in which Flacco connected on 11 TD passes, throwing no interceptions.